Watch out, some new character-study of Ciani. Ciani is a young fighter lady, who often afront other people with her effrontery and straightforwardness. Therefore she has only a few good friends. But don’t be afraid – it doesn’t mind her what other people say and think and for this I really envy her. 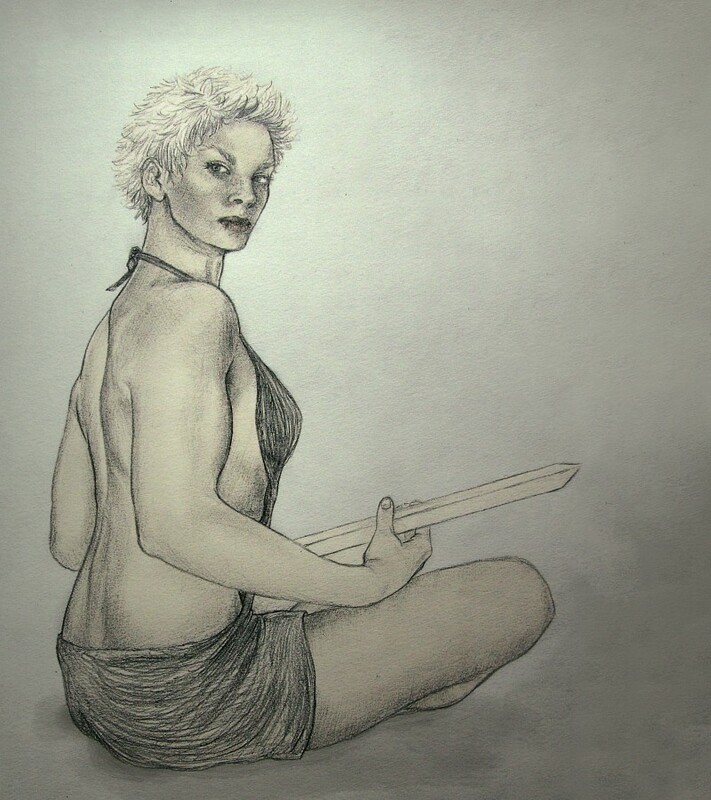 It’s a pencil drawing of her in my favorite position – sitting half with the back and looking for her shoulder with this kind of strong, aggressive glance. I loved to draw her back. Therefore, I used a photo of myself as a reference having a control picture for the muscles and the shoulders. Yeah, finally you could see the effect of my training.